Are you a new customer? Make the switch to Republic Bank today. Stop by our Wynnewood, Pennsylvania location and open your account today. We’re open 7 days a week. 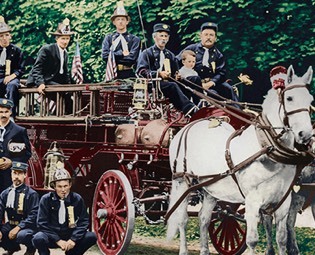 Merion Fire Company, circa 1907. Photo courtesy The Lower Merion Historical Society.